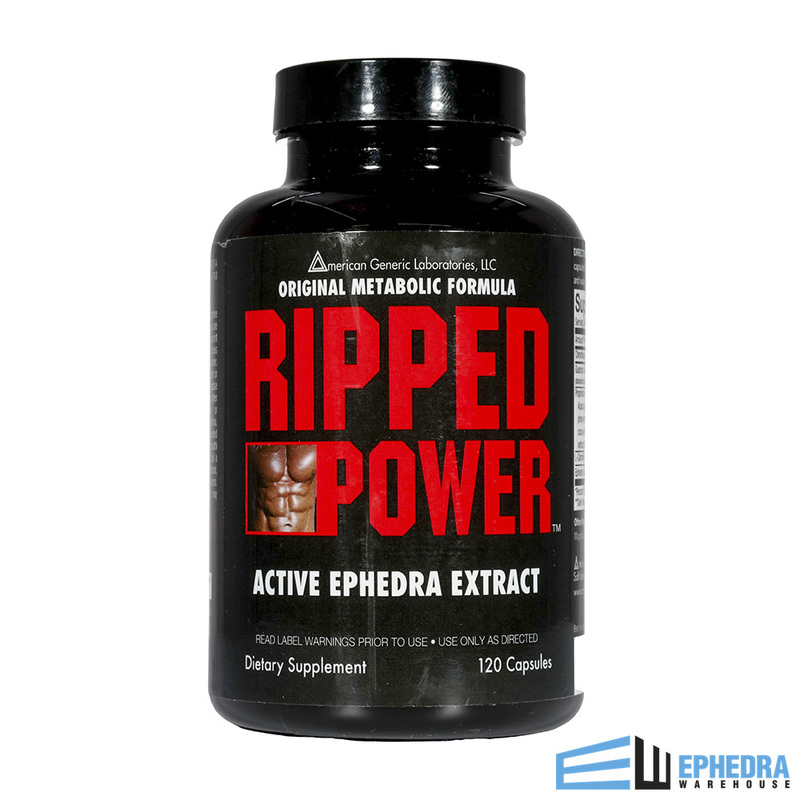 Ripped Power with Ephedra - Same Day Free Shipping! 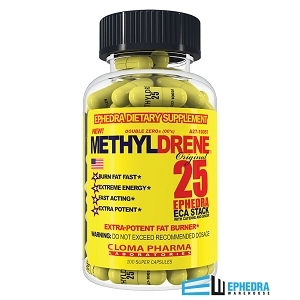 After Ephedra had been banned from supplements, those who wanted supercharged weight loss seemed to be out of luck. But times have changed, thankfully, and Ripped Power from American Generic Labs is going to help dieters reach their weight loss goal. The sooner a person can lose weight, the more time they have to become healthier. American Generic Labs Ripped Power diet pills are designed not only for the casual weight loser but for the person who wants to get ripped as well. What does this all mean? By stoking the body's metabolism, a dieter should be able to lose weight more quickly, without feeling hungry. They may also begin to lose fat instead of muscle, which is what usually occurs in a calorie deficit. The human body is great at surviving. It believes that when a person begins to cut calories, the person has entered a period of starvation. Instead of burning precious fat stores, it will burn muscle. While this might have been helpful in the times of the cavemen, this is not a good thing when a person needs to lose weight. With Ripped Power from American Generic Labs, these diet pills can help to boost the metabolism so that the user can lose weight and continue to lose weight without slowing down. American Generic Labs Ripped Power diet pill reviews are positive, and it's no surprise to those who already used these supplements. These powerful diet pill ingredients make sure every calorie is used more efficiently, which will help to boost the calorie burning power of the body as a whole. Those who have had troubles in the past with yo-yo dieting point out that Ripped Power diet pills help them break this dangerous cycle. Dieters can create new diet habits that allow them to lose weight quickly and keep it off. Just by starting a new diet plan, a person can learn to eat and to enjoy new foods that will ensure their weight loss efforts are maintained for years. Like with any medication, it's always a good idea to consult with a physician before starting a new supplement plan. Ripped Power diet pills from American Generic Labs are designed to be taken as directed, meaning one to two capsules, up to three times a day, preferably with water and with a meal. This adds up to a large number of diet pills a day, which may not be necessary for all diet plans. 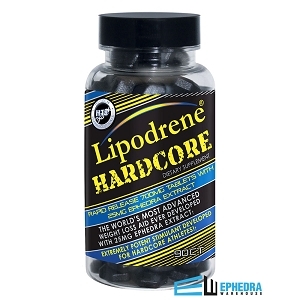 For those who don't need to lose a lot of weight or who notice they are losing a lot of weight with the minimum dosage of Ripped Power diet pills, taking fewer pills is recommended. If the weight loss slows, then the user can add more capsules to their daily schedule. Ripped Power diet pills from American Generic Labs are designed to be used by dieters 18 years of age and over. Those with chronic conditions, those who take prescription medications, and those who are pregnant or breasting should avoid taking Ripped Power diet pills. If there is any concern about Ripped Power diet pills, talk to a physician or pharmacist. If a user decides to take more than the recommended dosage of Ripped Power, this can increase the chance of side effects, including restlessness, anxiety, insomnia, and shakiness. Many users report some of these effects during the first day or two of taking Ripped Power diet pills, but then the side effects will subside as the body grows accustomed. It's advised that one a dieter uses the diet pills for a few weeks that they stop for a few weeks to ensure the maximum benefits. 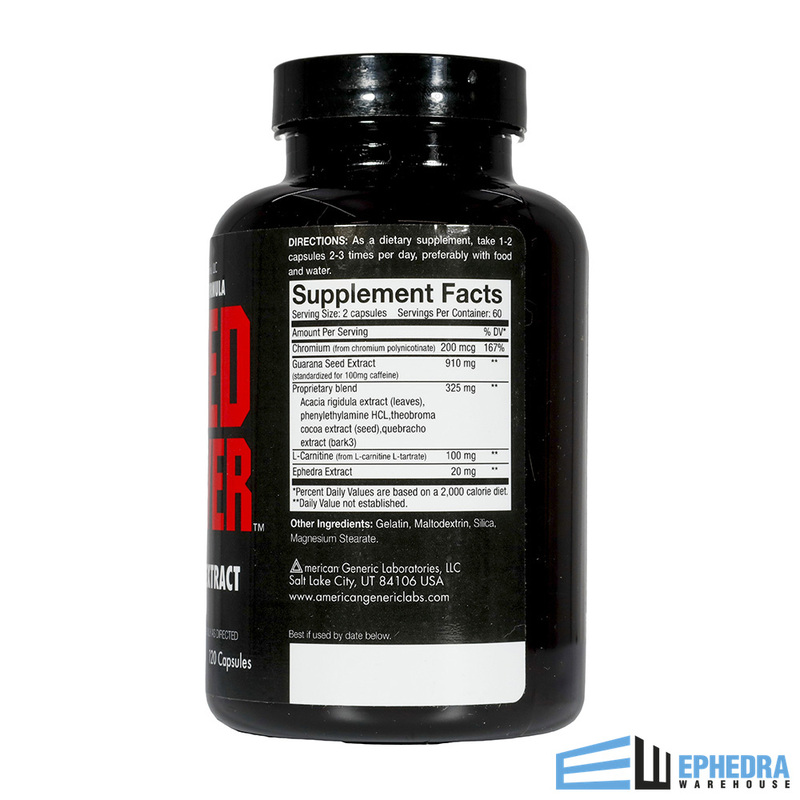 Ripped Power diet pills from American Generic Labs are designed to boost weight loss with Ephedra, caffeine, and chromium picolinate. For those dieters who need help reaching weight loss goals, Ripped Power is the right choice for long-term slimming. 1. Gavrieli A, Karfopoulou E, Kardatou E, Spyreli E, Fragopoulou E, Matzoros CS, Yannakoulia M. Effect of different amounts of coffee on dietary intake and appetite of normal-weight and overweight/obese individuals. Obesity (Silver Spring). 2013 Jun;21(6):1127-32. 2. Schubert MM, Hall S, Leveritt M, Grant G, Sabapathy S, Desbrow B. Caffeinee consumption around an exercise bout: effects on energy expenditure, energy intake, and exercise enjoyment. J Appl Physiol. 2014 Oct 1:117(7):745-54. Closest supplement I've found to the original Ripped Fuel. If you want energy to power through your workout or give that little extra boost during the day then this is the product for you. Of all the options out there, this one is jus the basic Ephedra and a bit of caffeine, so no shakes and just the right amount of energy and appetite suppression. 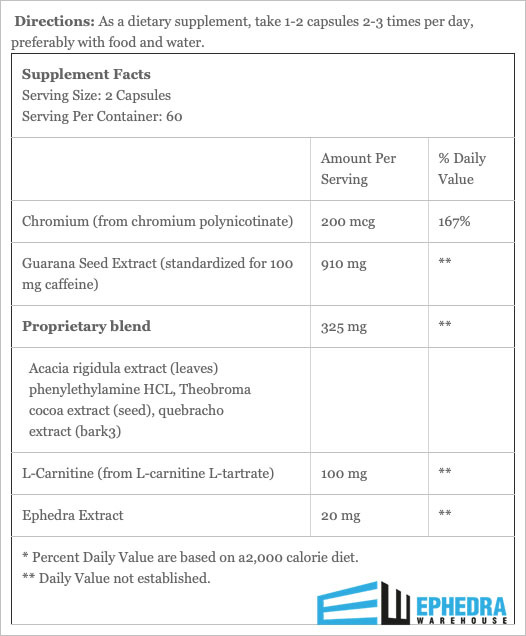 I cannot take synephrine or some of the other stack ingredients so this is great for me. 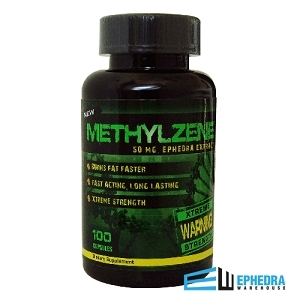 If you want something with more kick, there are others, but this is the most like the original Twin Labs Metabolife with ephedra, so I am thrilled! This is my 2nd time buying this product. With the 1st bottle, it gave me great energy like no other product had. I decided to try another bottle, after running out of the first bottle several month prior. I was very disappointed with the 2nd bottle. It gives me no added energy or curved appetite. It's almost as if I am not even taking it, there are simply no changes. I'm not sure if they changed the ingredients since buying my first bottle in April of '11, but I will not be buying again. I have to admit that I'm a little disappointed with this product. I used the original Ripped Fuel formula and got great results. I haven't been able to find anything that comes nearly close to it since then. When I came across Ripped Power, I was excited because it was said to perform like the original Ripped Fuel formula. Well, this was a huge let-down. This is the best product I know. Have used this product for a long time , and I absolutely love it . It gives me the right energy and I do not feel tired afterward . i like that it gives me sustained energy. Q: when will this be back in stock? ... and what is a "like" alternative?